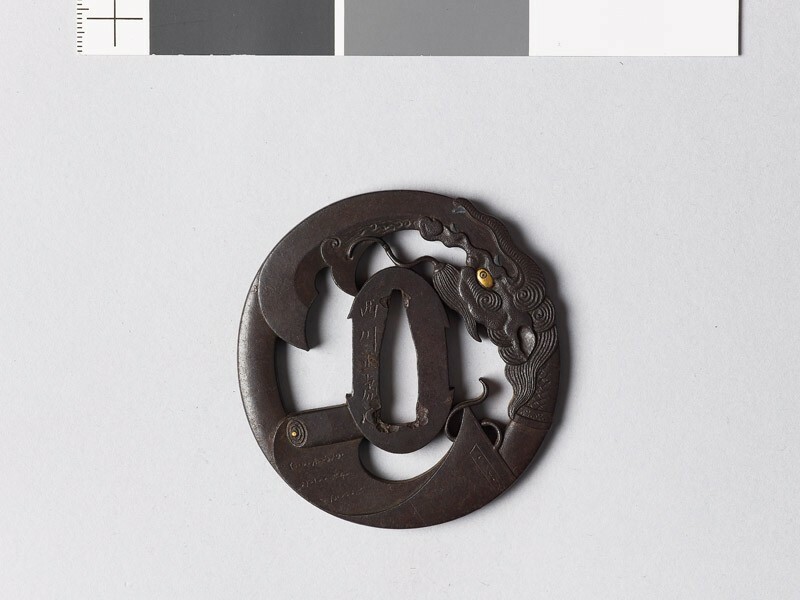 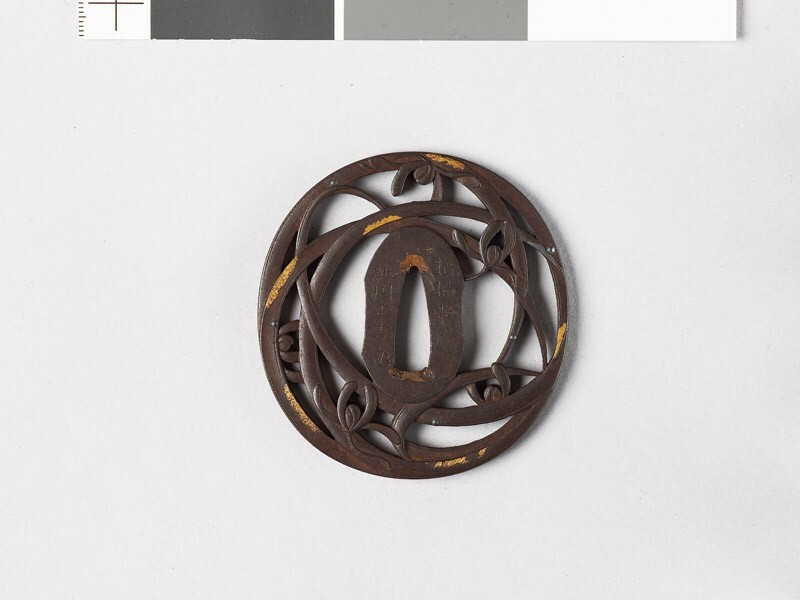 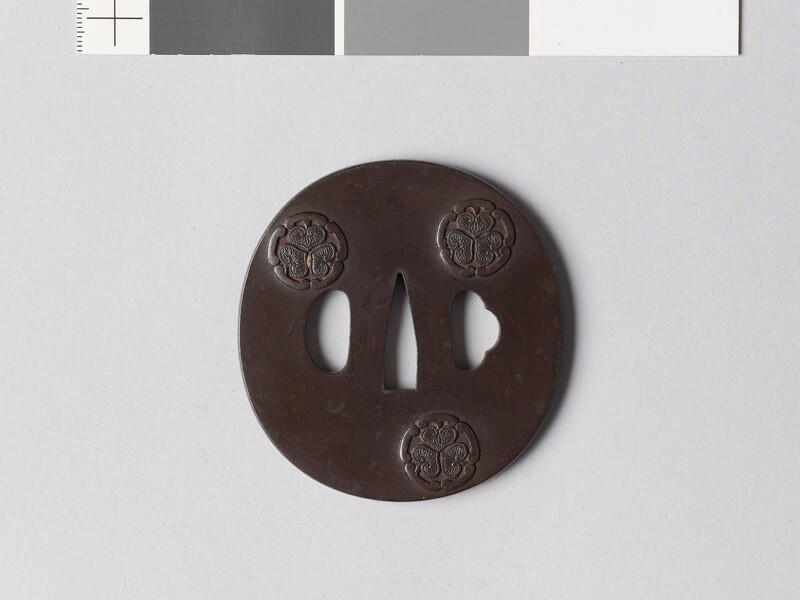 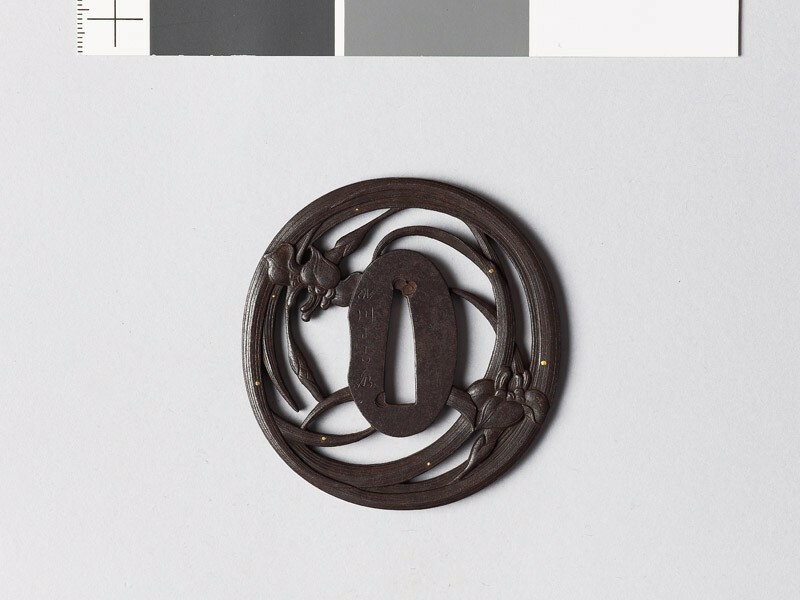 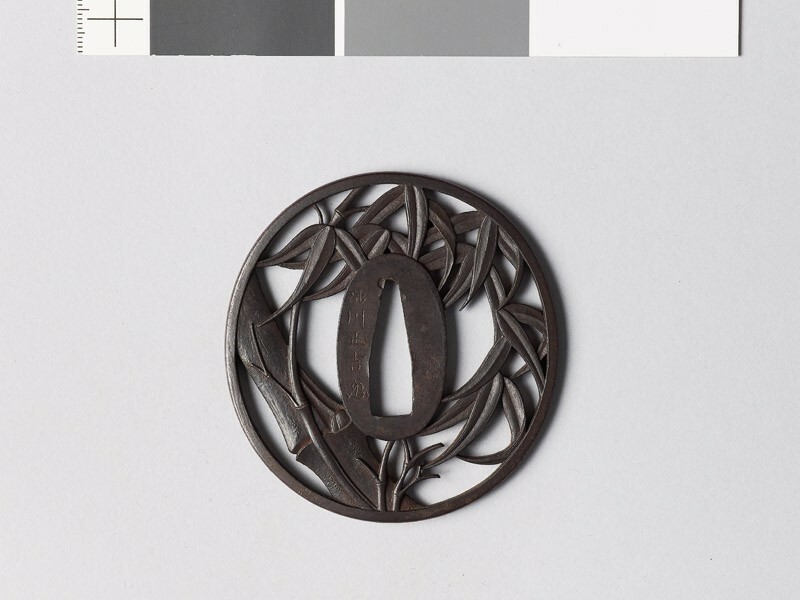 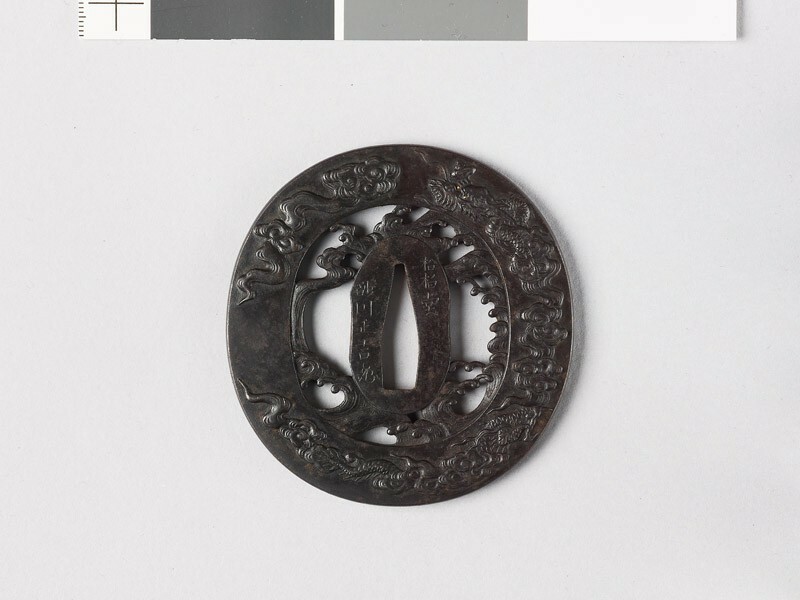 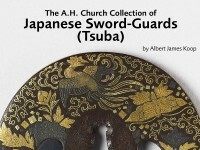 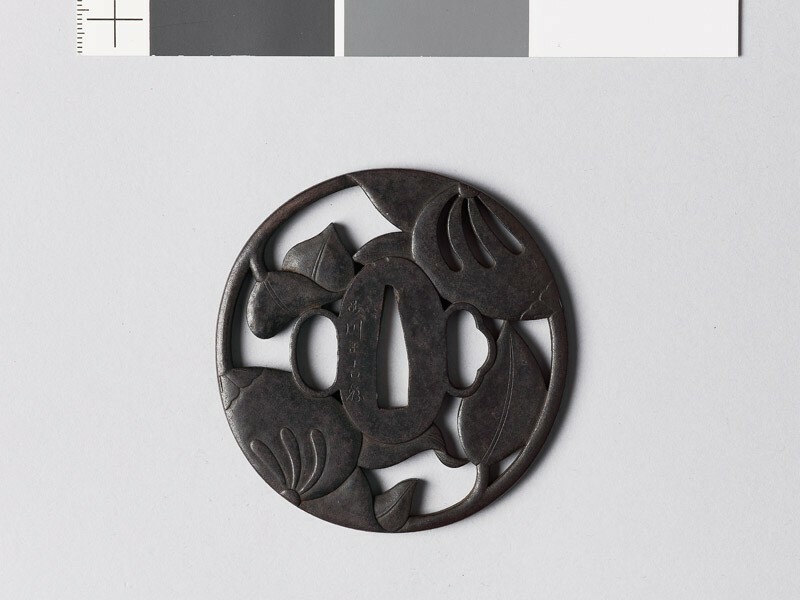 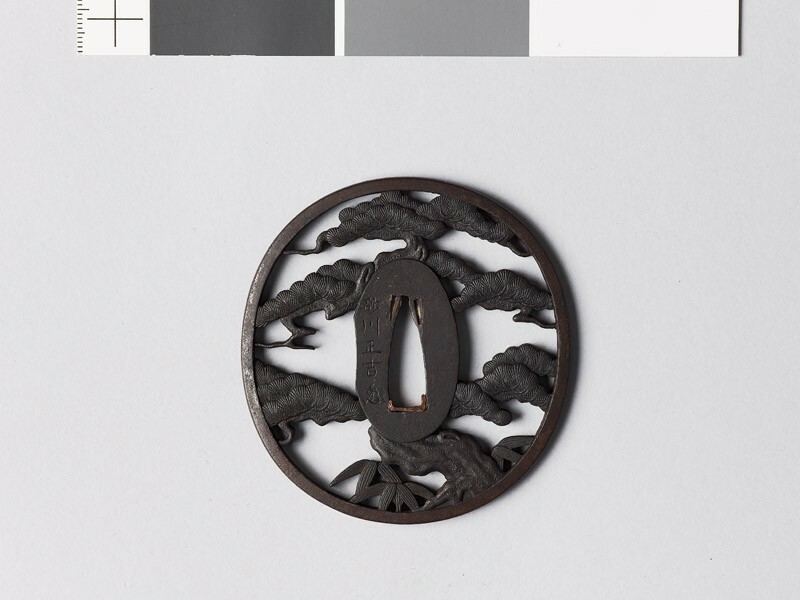 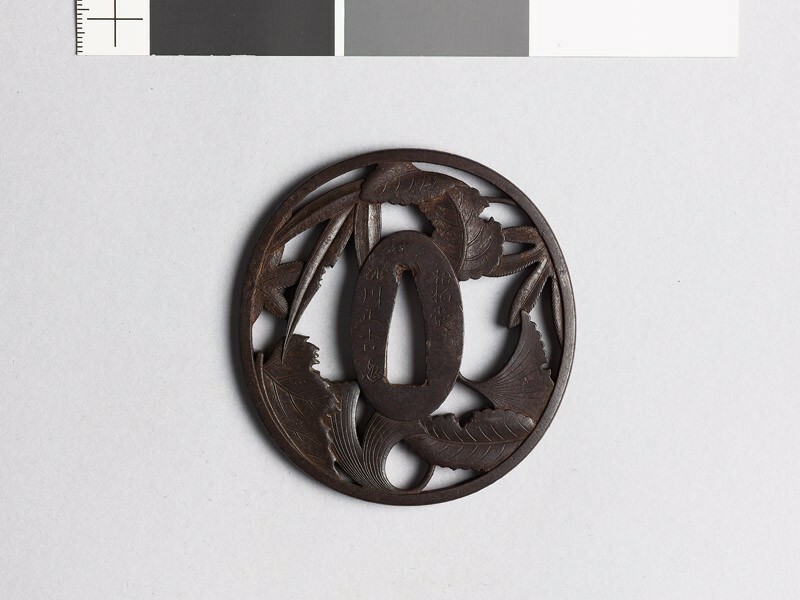 Founded by Masatora, one of the Akasaka, the Sunagawa [Japanese text] School produced iron guards in a style combining the designs and composition of the parent family with the methods characteristic of the Kinai. 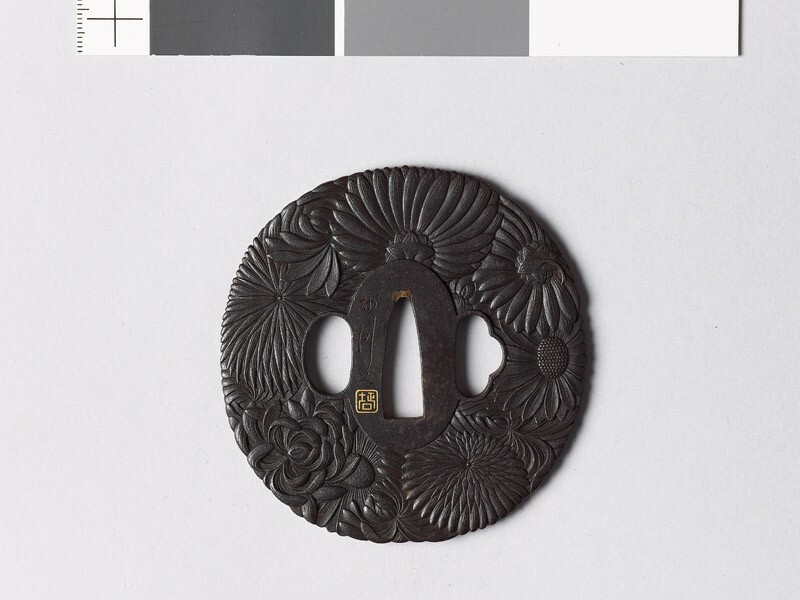 Clearly cut reliefs and a high finish of the surface are well illustrated by the work of Masanori, Masayoshi, Masatora (II? ), and Ōtaka Hironaga, all 19th century workers.